Before we get into the best survival backpack, let’s first define what a survival pack is. 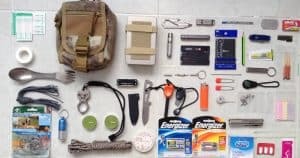 A lot of people use the term survival backpack interchangeably with Bug Out Bag, but the two are actually different things. 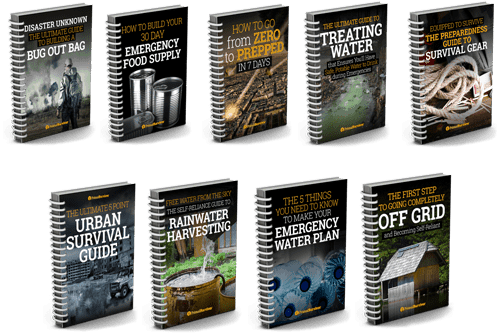 A Bug Out Bag contains everything you need to survive for at least 72 hours in a disaster situation. 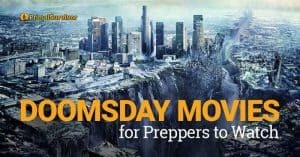 This includes urban disasters, such as if you had to flee through a city. By contrast, a survival backpack is aimed more towards outdoor survival. Durable: They need to hold up against whatever conditions nature throws at you. Suited for Your Body Size: You need to be able to comfortable hold gear while tromping through the wilderness. Packs that are too large or wide will get snagged on branches or upset your center of gravity. 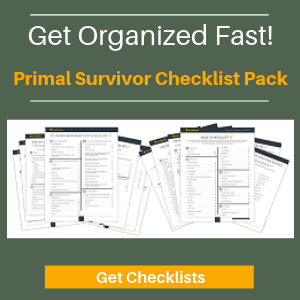 Have Adequate Storage: It is a good idea to make a survival backpack checklist before buying a pack. Then you can see how much space you really need. The Rush72 has an amazing design with lots of pockets, compartments, and zippers. The stitching is tough and the pack can hold up in the toughest survival conditions. No wonder the pack has a 5-star rating on Amazon! The only real downsides of the Rush72 survival backpack are the same ones you’d expect of any quality pack. It’s high denier means the pack is quite heavy (4lbs) when empty. It also doesn’t have an internal frame, so it will not be so comfortable if you load it up with more than 30lbs of weight. If you have decided on a hiking-style pack for your survival backpack, the Osprey Stratos is one of the best picks. The main reason I like it is because it is more discreet than other hiking packs (which tend to come in bright colors and have reflective tape all over them). As far as comfort goes, the Stratos has an internal frame and compression packs that allow you to keep heavy loads close to your body. Osprey is one of the best-known brands in hiking backpacks, so you can expect a quality product. Best For: People with back problems or who will be carrying heavier loads. The Condor 3 Day Assault Pack is one of the most popular survival backpacks. The 1000 denier nylon is much more durable than the 200-500d nylon used on most other tactical backpacks. For its durability, the Condor is surprisingly lightweight. The empty pack weighs about 2lbs, compared to 5+ lbs of other packs. Those extra pounds make a big difference when packing for survival! Note that this survival backpack isn’t waterproof. You’ll want to get a cover for it or store all your gear in waterproof bags. Here’s the survival backpack you want if you will have to go through severe weather conditions. The 500 denier PVC with welded seams is completely waterproof. You could even put it completely underwater briefly and still keep your gear dry. Oh, and it floats! Compared to other dry bag packs, the BackSak is much more comfortable and has more pockets for organization. I just wish it didn’t have reflective trim, in case you don’t want visibility in times of chaos. This survival backpack looks like a schoolbag, but don’t let that fool you. The pack is really sturdy and has a lot of integrated features which make it suitable for a survival backpack. The key feature is the handgun storage compartment along the back. It takes some practice to reach there but, once you get the hang of it, you’ll be able to access your handgun very quickly. We could spend hours talking about backpack specifications. However, when we really break things down, there are only a few key features which make or break a pack. 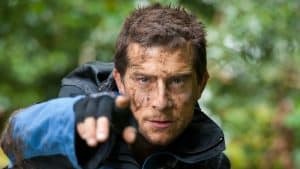 For Bug Out Backpacks, I’ve heard of people using schoolbags or even diaper bags. The idea is that these are discreet, so people are less likely to steal them. But we are talking survival backpacks here. The goal is to endure outdoor wilderness conditions – so you need a tough bag. There are some tough backpacks which look discreet (like the Blackhawk rucksack reviewed earlier). If you are really concerned about discretion, consider putting your survival backpack inside a diaper bag or trash bag, at least until you flee Ground Zero and get into the wild. As far as backpack types which are tough enough for outdoor conditions, there are only three true options: tactical backpacks, hiking packs, and dry bags. These are what you usually think of with survival backpacks. They are often used by hunters and fishermen because of how much abuse they can take and how much gear they can carry. The big benefit of tactical packs is that you can attach gear to external hooks or loops. 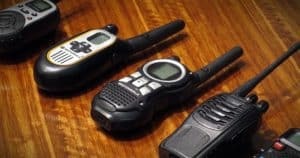 This is great for accessing small items like flashlights. Once the rain comes though, you’ll have issues with your tactical pack. While most are “water repellent,” they are far from waterproof. Heavy rains will fill your pack, which is why the best tactical backpacks have drainage holes inside of them. The thick material also means they are heavy. It might not seem like much, but that extra 3lbs of bag weight will slow you down. 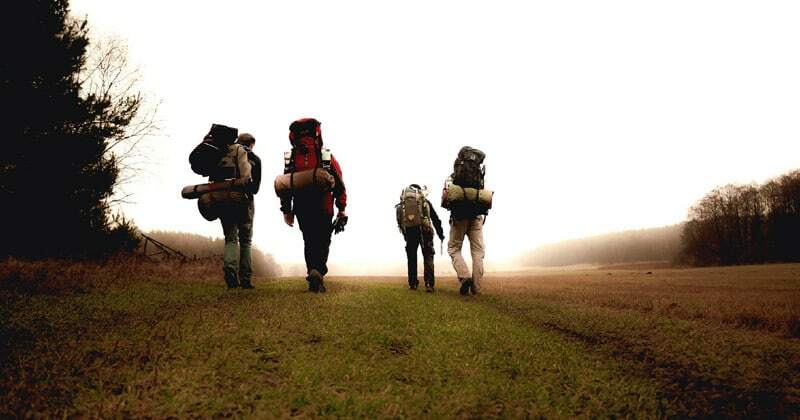 Hiking packs have many features which make them ideal as survival backpacks. They are lightweight, have tons of storage room, and often come with integrated rain covers. While hiking packs are made for wilderness, they aren’t necessarily made for survival – especially in harsh conditions. The lightweight material will rip easily. And good luck camouflaging a bright-colored pack with reflective tape on it! These backpacks are used by spelunkers, miners, white water rafters, and other adventurers who are likely to get drenched. The best dry bags can even be submerged completely under water and still keep contents dry. I personally don’t use a dry bag. Instead, I keep my survival backpack gear in waterproof bags and have a rain cover for my pack. However, if I lived in a hurricane zone or thought I would have to cross a large stream to flee, I would choose a dry bag backpack. The downside is that they lack pockets and it’s hard to organize gear. The capacity of a backpack is how much gear it can hold. Capacity is usually measured in liters. Sometimes you’ll see it listed as cubic inches. Always convert capacity to the same unit when comparing bags! Some survival bloggers push for larger capacity packs, but I’ve got to disagree. If you fill up 45 liters, then chances are your pack will be too heavy and slow you down. However there are some cases when you will want a larger capacity survival backpack. 30-40 liters: Ideal survival backpack capacity for most people. 25 liters: Adequate for experienced survivalists because their knowledge substitutes a lot of gear. 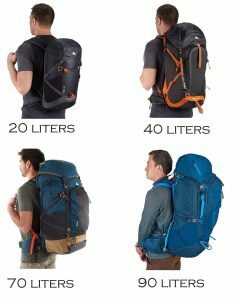 40-55 liters: Necessary for people with small children or special needs, but expect the pack to be heavy and going slow. 55+ liters: Only for people who won’t have to walk long distances and who live in isolated areas where encountering others is unlikely. Backpack size is not the same as the capacity. Rather, the size has to do with how the backpack fits your body shape. Most tactical backpacks, for example, are made for mid-length men’s torsos. To give the pack more capacity, the pack is rounder shaped. The load is further from the body, so tactical packs are quite uncomfortable with heavy loads. Hiking packs are available in many more sizes. To get the correct size, you need to measure your torso. Women’s hiking packs tend to be narrower than men’s packs. Unfortunately, most tactical backpacks don’t list their torso size. The shape of hiking packs is more rectangular. The weight goes over your shoulders, making it difficult to run with the pack. However, the weight is closer to your body so heavy loads are more comfortable and cause less strain. Short Backs Small-sized hiking pack with hip belt. Mid-Lengh Backs Tactical backpack, dry bag, or mid-sized hiking pack. A lot of people make the mistake of buying the survival backpack which has the heaviest denier material. Yes, heavy denier nylon will hold up better. Heavy deniers also resist water better. However, heavy deniers are also heavy in weight. For example, the 5.11 Tactical Rush72 backpack reviewed above weighs 4lbs when empty. It doesn’t seem like much, but 4lbs adds up quickly! I could add 60 more ounces of water to my pack for the same weight. Remember that heavy deniers will soak up water in the rain, making it even heavier (they are only water repellent to a point). The thicker the material, the longer it will take to dry. Try to strike a good balance between durability and weight. If you are going minimal on the gear, you can afford to get a heavier survival backpack. No normal backpack is 100% waterproof. Even if the backpack says it is weather-resistant, it will still leak some water at the zippers. The only exception are dry bags. These really can hold up against heavy rains, mud, and snow. Most dry bags can’t go underwater, but some can be submerged for brief periods – useful if you slip while crossing a stream! If you go with a hiking pack or tactical backpack, make sure you get a cover for it. A trash bag can work in a pinch, but I like the integrated rain covers that come with good hiking packs. You should also consider putting your crucial gear into waterproof baggies. Finally, you want to look at how many attachments and compartments the survival backpack has. At a minimum, you’ll want side pockets for water bottles (Amazon Link) and/or a hydration pack (Amazon Link) compartment. 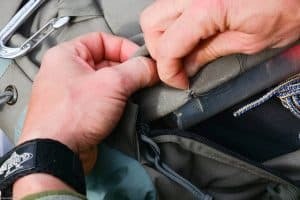 Exterior zippered pockets are very useful for carrying small survival gear, like flashlights and water filters. A big plus of having exterior attachments, such as loops or MOLLE, is that you can add more gear. 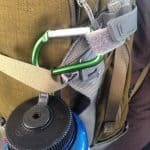 Not that you’d want gear hanging off your pack if it starts raining, but it can be a good way to carry impromptu survival items that you find along the way. What survival backpack do you have? What do you love/hate about it? Thankx for using my picture. Keep going. Greetings from Berlin.